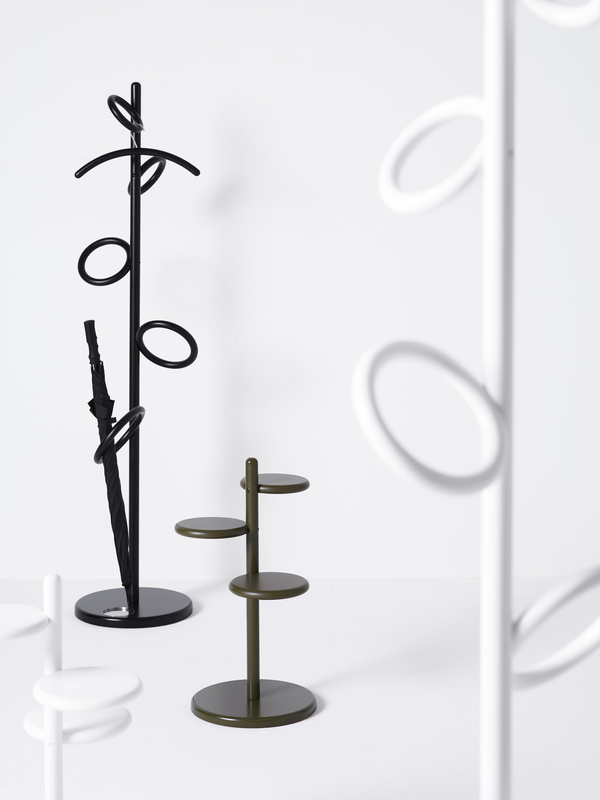 Raise coat stand have been inspired by the self-replicating spiral forms that are sometimes seen in nature. The coat stand has five rings, which can be used with coat-hangers as and when needed. The lowest placed ring serves as an umbrella stand with a stainless steel drip cup set into the base below. As an accessories wooden coat-hanger. Coat stands come in our standard colors. Raise is equally at home in entrance halls, cloakrooms, lobbies and reception areas etc.